The most common type of canine arthritis is degenerative joint disease, or osteoarthritis, affecting more than one out of five adult dogs in the United Sates, the Arthritis Foundation recently reported. Scientific studies indicate that 20 percent of middle-aged dogs and 90 percent of senior dogs have osteoarthritis in at least one joint. Age – As dogs get older, cartilage will begin to degenerate. Though arthritis is much more common in mature or senior dogs, young dogs can suffer from arthritis, too. Breed – Certain large breed dogs are more prone to arthritis and decreased mobility. Those dog breeds include Labrador retrievers, Golden retrievers, German shepherds and Rottweilers. Excess weight – Excess weight on your dog means excess stress on the joints and cartilage, which can lead to arthritis and joint health problems. Congenital or hereditary defects. Some dog breeds may have congenital or hereditary conditions that make them more prone to developing arthritis later in life. Accidents or trauma. Trauma to cartilage caused by accidents can damage cartilage, resulting in arthritis later in life and adversely affecting mobility in your dog. Infection. Occasionally, infections can lead to the destruction of cartilage and joint tissue. Don’t wait. Act now to preserve your dog’s joint health. 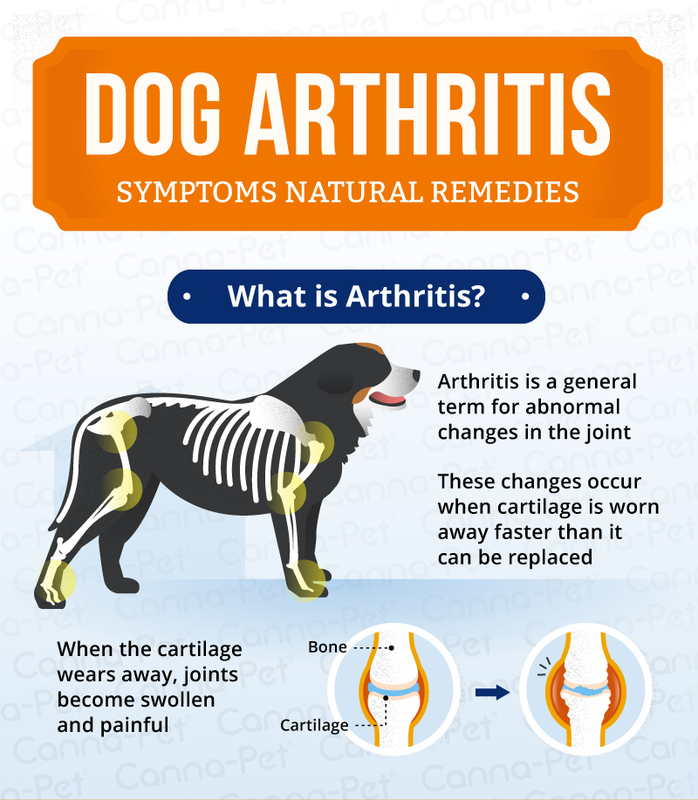 When your dog has arthritis, cartilage in his joints is wearing away, causing significant pain. Arthritis is a degenerative disease and may stem from genetic predisposition, developmental challenges, or trauma to the bones or joints. Large, heavy dogs are more likely to suffer from arthritis, as they tend to grow quickly, age faster, and participate in more excessive exercise than smaller breeds. However, small dogs like the Dachshund, that are specifically bred to produce unique body shapes are also at risk. Large breed dogs at significant risk include: German Shepherds, Golden Retrievers, Labrador Retrievers, Newfoundlands, St. Bernards, Rottweilers, Mastiffs, Great Danes, Bernese Mountain Dogs and Old English Sheep Dogs. The food and nutritional additives your dog eats plays an important role in his overall health and well-being. Balanced nutrition is an essential part of an active, healthy lifestyle for dogs. Incorporating a few key nutrients into your dog’s life may help reduce inflammation and result in joint pain relief. By adding good omega 3 fats and antioxidants, your dog’s body will be feeling its best. You may also consider using a natural supplement for dogs with arthritis to help alleviate some of those symptoms. Studies have shown that 91.9% of people that used Canna-Pet as a natural joint supplement for dogs saw reduced inflammation. Learn more about Canna-Pet and how it’s helped relieve the pain and inflammation of hundreds of dogs with arthritis. For accurate diagnosis and treatment options, always consult your veterinarian and ask them to recommend the best food and nutritional additives for your dog’s arthritis and joint mobility health. Only Canna-Pet® provides balanced Hemp Nutrition Adapted for your Pet.